Should You List Your Optometry Practice on Zocdoc? We've shown you how to get your optometry practice to appear in local searches & Google Maps as well as how to grow your social media following. But, have you heard about online healthcare appointment platforms? These websites enable patients to search for optometrists, read reviews, and book appointments online at any time of day. After scouring the competition, we found that Zocdoc was the only online directory that includes most types of healthcare professionals in the United States. However, all doctors and optometrists have to pay a monthly or annual fee to be included in the directory. Is it worth the investment? Read on to find out. Are online appointments beneficial to optometrists? The return on investment varies based on your optometry practice's size, location, and unique needs. An increasing number of patients turn to Google search to find healthcare professionals and make appointments without picking up their phones, so Zocdoc provides a way to capture these patients. You should also confirm that your information, website, and accepted insurance providers are accurate on websites like the American Optometric Association or other directories that show up in Google searches. Zocdoc is convenient for users who don't have the time to call multiple optometry offices to confirm availability, insurance, or quality of service. The website makes it easy to search through optometrist reviews and schedules by insurance network, which is why most Zocdoc users pay through insurance. Just follow this link to list your practice on Zocdoc. Although the actual listing process is quick and comprehensive, Zocdoc is not a replacement for a full, professional website. On your doctor profile, you can link to your website, add certifications, and inject some of your personality into a personal statement. The website is user-friendly, but you can request a free demo before you take the plunge. To build your online profile, you'll need a headshot, photos of your office, and a few patients to leave positive first reviews. Zocdoc has a few pricing options from a special monthly rate for select practices, $3000 for 1 year, and $8100 for 3 years. You'd have to speak to a representative to figure out the best billing option for yourself. The benefit to the patient is pretty clear; online appointments are extremely convenient. Calling during office hours, confirming that the practice is in the patient's insurance network, establishing an available time, and giving personal details requires the patient to take time out of their work day. Calendar Management: You can insert your available time slots and check back on the Zocdoc site or app to see what appointments you have coming up. If you already have an appointment calendar, Zocdoc will sync with your practice management software to make sure you're not double booked. After-Hours Appointments: If you don't already have the option to request appointments through your website, the ability to request an appointment without calling into your practice will open up the possibility of gaining patients after 6pm. In fact, Zocdoc claims that 45% of patients book after-hours. Fewer Paperwork Errors: Patients fill out their information on Zocdoc's website before stepping foot in your practice. This saves your team time and reduces errors because you can denote which information is required and provide instructions. 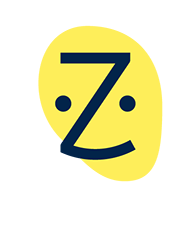 Patient Recall: Zocdoc's platform will send e-mails and text reminders with links and confirmations to patients before and after their appointments. Our final conclusion is that Zocdoc is worth the price if you don't already have a comprehensive practice management solution in place with easy online scheduling. 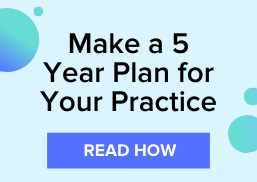 If your practice is brand new, in a city with many optometry practices, or small enough that you don't need a full practice management platform, Zocdoc could be a great starting off point. Although Zocdoc functions as a patient management and scheduler, purchasing complete optometry software for your practice will allow you to hold product inventory, manage invoices, file insurance claims, and generate data reports for long-term growth. Click below to request more information about our cloud-based practice management and EHR software, Uprise.